We close the last Thursday afternoon of every month, this is necessary for all the practice team to undertake mandatory training. Please be aware that this may change from time to time so check this web site and notice boards in the surgery. THE SURGERY WILL BE CLOSED FROM 12.30PM TO ALLOW THE GP’S TO ATTEND PROTECTED LEARNING TIME EVENT ARRANGED BY WARRINGTON CLINICAL COMMISSIONING GROUP. FOR ANY PRE-BOOKED APPOINTMENTS IN THE AFTERNOON PLEASE USE THE BACK DOOR VIA THE SURGERY STAFF CAR PARK. NHS Warrington Clinical Commissioning Group is advising patients that some practices including Stockton Heath Medical Centre are currently experiencing issues with slow IT systems, which may impact upon how quickly practice staff can help. These issues are not the fault of staff within your GP practice, so please do be patient, they want to help you and will to their best to do so. The slow access to systems is due to issues with the national N3 network - the national broadband network for the NHS - which is currently being replaced in stages across the country. 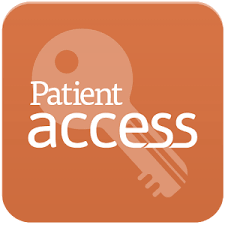 Please note; when you register through Patient Access, you will need to bring 2 forms of ID (one with your picture/one with proof of address) to complete the process. If we do not receive these within 30 days the account will be rejected. If you have a minor or self limiting illness please click self care for advice, this may avoid an unnecessary consultation for a self limiting illness, and help the GP use their time more appropriately to see acute, chronic or complex patients. You can access appropriate information from our self care page or from the self care forum website or ask advice from a local Pharmacist. There are fact sheets on the self care forum website for common minor ailments, giving advice for looking after yourself. My Life Warrington website gives information about what is available in Warrington for the following topics. Health and Wellbeing, Support for Carers and Child Care. Our Patient Advisors will use this site to help navigate you to services to give you extra support. On 25th May 2018 General Data Protection Regulations are changing and Stockton Heath Medical Centre will be breaching these regulations if we give your prescription to someone without your permission. If you want to delegate responsibility to another person (including a pharmacy) to pick up your prescription speak to your local pharmacy to arrange this service. You can withdraw permission at any time by informing the Surgery and the Pharmacy. Some pharmacies no longer pick up paper prescriptions for patients. Your prescription can be automatically sent to a pharmacy so no one has to pick it up from the GP surgery (dependent on medications). We will ask you to provide proof of your ID when you collect the paperwork and we log this on your medical record. If you are asking someone else to collect on your behalf, you will need to let us know the name of the person and ask them to bring proof of ID with them.